Everton endured a concerning start to the Premier League season, recording only one win in their opening six matches. However, they’ve managed to hit their stride with victories in four out of their last five top-flight games, although familiar failings have prevented them from making a charge into contention for a Champions League place. The Toffees have suffered three defeats in their opening 11 matches, including a poor home loss at the hands of West Ham United. Manchester United loomed large to end the Blues’ three-match winning run, securing a narrow win at Old Trafford. 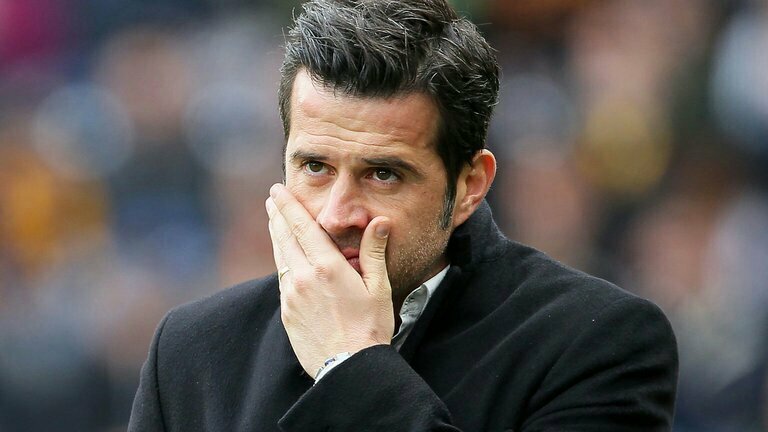 Marco Silva’s men previously lost out to Arsenal on the road, highlighting an ongoing issue against the elite teams in the division. The Toffees have invested heavily in the transfer market since the arrival of Farhad Moshiri, and although they’ve been a solid team they have not made the strides the majority owner may have envisaged after a more than healthy injection of funds. A triumph over Brighton got the team back on track thanks to a brace from Richarlison and a fine strike from Seamus Coleman. Everton have been consistent against teams outside of the top six, but to force their way into the reckoning for the Champions League the Toffees have to start taking points from the leading outfits. In terms of their odds to win the league, as redbet shows, they're ranked seventh in the thoughts of the bookmakers in the Premier League. Results have proven that is where Silva’s men rank in the top flight – leading the best of the rest. The question is how they can improve in the small margins needed to break into the elite group. Silva was hired because of his pedigree in the Premier League, having enjoyed good spells with Watford and Hull City. And although the latter were relegated under his tenure, the Portuguese ensured they went down fighting rather than the limp surrender they would have endured otherwise. Everton supporters did not relish the style of football played under Sam Allardyce. Silva has brought an attractive style of play that has been easy on the eye at times, although the early matches of the season highlighted teething problems in their approach. However, as the season has developed the Toffees are starting to thrive under their new manager’s system. New players have also come into the fold. Richarlison, who was so effective under the Portuguese’s tenure at Watford, has hit the ground running. Eyebrows were raised when the Toffees spent £50m to secure his signature, but he has delivered six goals already on the term. Bernard has displayed raw pace and skill in his time on the field, playing a decisive role in the win over Leicester. Gylfi Sigurdsson has started to display his Swansea form in his second year at Goodison Park, none more so than his stunning strike to defeat the Foxes. The back four has looked solid enough with Kurt Zouma taking the spot alongside Michael Keane. Yerry Mina is still to get his feet under him as he recovers from injury, giving the club an embarrassment of riches in the heart of the back four. The missing ingredient could be a top-quality striker. Richarlison has been leading the line, while Cenk Tosun is also present in the side. However, every side above them in the table has a potent attacking line featuring a superstar through the middle. It’s the hardest position to find, but sporting director Marcel Brands has to work some magic with Silva to take Everton to the next level. A better striker is always going to improve a team, so in one sense there can be no arguing with your main point. However, I seem to have a higher opinion of Tosun and Calvert-Lewin than most do. They're not fully proven yet, but I think both have the attributes to get bags of goals if playing in a confident team that's creating chances. Richarlison's career as a central striker is also in its infancy, so he could become the player you're talking about. I think it would be a mistake to focus on one position in our recruitment. Firstly, we have all positions well covered with quality, so recruiting isn't our issue, becoming settled, familiar and consistent is more important. Secondly, the quality of player who will improve us from here is going to be very, very difficult to sign; players that good will want to go to established top six sides or the best teams in Europe. Brands will have a huge database and files on all the players he thinks are good enough. We need to sign them if and when they're available, whatever their position, rather than trying to focus on signing a position, where the new guy may not be better than what we have. I think we all have our own perceptions of the next step. For me its not even about signings or something just as simple as signing a striker. In my opinion we are already a very good football team, yes we are still in progress but we are a team that looks very confident playing against the teams outside the top six. But now let me take us to my next point, which is where we need to improve. Since we beat Manchester City 4-0 in January 2017 under the leadership of Ronald Koeman we have played 21 matches home and away including league and cup against the top six and we havent won any. This for me is where we can take our first step to the next level. If we can somehow beat a top six side then that will be a huge mental boost, a shot in the arm to the players who look so confident and classy against 7th place down but come up against a Chelsea, City, United, Liverpool, Tottenham or Arsenal and we have sudden attacks of the jitters in front of goal with silly decisions being made and easy chances scotched. Ok, we can blame referees to some extent too but let me say this. Does anyone think we would have scored that wonderful breakaway goal against Brighton if we were pitted against Chelsea at Stamford Bridge? We look so much more worried and doubtful when we face a top six side, players seem to take leave of their sense and madcap decision making comes to the fore. So that for me is how this Everton team moves on to the next level. We are playing some dazzling football right now but until we lose our inhibitions and let ourselves truly go against a top six side then you get the feeling the sides above us are quite happy in the knowledge that theres a safe glass ceiling between 6th and 7th. Lets see what Sunday brings but Im not holding my breath. Couldnt agree more with Jim. Our next step has to be a change in attitude and mindset and that we can go and compete and beat these teams. Do that and the skys the limit. Richarlison is the striker we've been looking for. I doubt very much that we'll see him played out wide again. I think Silva and Brands knew this would be his career position all along and bringing in Bernard allowed them to do it. There never was a surplus of wingers in the squad, just Walcott, Bernard and Lookman. 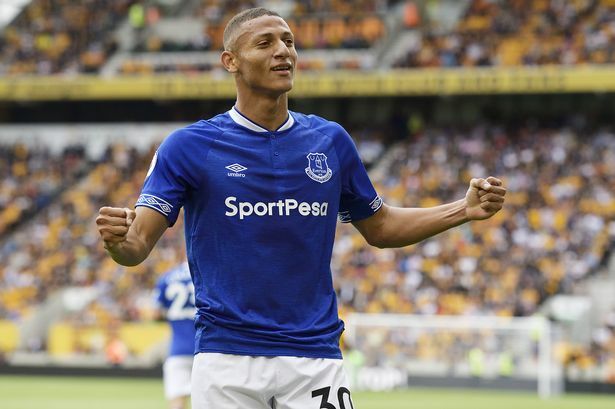 If the wingers play well for the rest of this season, we will see Richarlison transition into our main striker and goal threat over the coming months. Calvert-Lewin and Tosun will play from the bench. A good topic of discussion, Gary, and once again, Jim nails one of the key issues on the head. The next step is consistency, the one after that is winning a trophy, both which are reasonable targets to set for the next 6 months. To achieve both, the top 6 mental block needs to be overcome. We perpetually seem to be 2 players away from being a good side. I wonder if, in reality, with a bolder mentality and a plan to succeed against the top 6, we may be able to cover for squad deficiencies. We need a top centre-forward for sure. But from what I have seen, on any given Sunday we have at least 5-6 players capable of putting the opposition on the back foot if they are confident and in the mood. Win one of these games away from home and I think we will not only be on our way to consistency and winning a trophy, but the top centre-forward we want may actually be ready to join the club knowing that the side is tuned to perform on the big stage. Thank you for clearly drawing a line where Everton are and where they need to be looking to improve. I have long been an advocate of Everton being comfortable in the shallow end of the Premier League and struggling when they had to go into the deep end. On ToffeeWeb, when some player's contribution is scrutinised in these terms, there are misplaced howls of loyalty. If Everton are to reverse the trend of struggling in the deep end, two areas of the team have to be addressed: the right flank and the forward line. They are both seen as weaknesses. Arsenal exposed the forward line as being easily channeled to the extent that Cech looked as if he was on the training ground. Man Utd exposed the right flank as Everton's tactical weakness. All the top teams will relentlessly pursue these two areas in their tactical plans against Everton and will try to break up Everton team play in others areas. These two weak areas will give them more time and opportunities to exploit the latter objective. To have a centre-forward who is playing out of his best position doesn't happen in the top six, To have two centre-forwards who are not first choice in the squad would never happen. Everton have one of the poorest records in the Premier League regarding completed passes in the final third, with corresponding stats for forwards to prove it. On the right flank, we have a winger who, in the last four games, has had the least amount of touches than any other outfield player. At right-back, we have a player struggling with fitness, due to a botched recovery which the Club and himself share responsibility. His rehabilitation at the end of last season was rushed with predictable results at the start of this season and he himself did not show the necessary awareness to guide his own successful recovery, allowing Big Sam to play him for two 90-minute games and allowing himself to be called for international duty though struggling for fitness, resulting in a setback injury. This player is capable of playing at the highest level but could be lost due to this botched approach. A replacement is being sought as would be the case in a top-six club. Brands and Silva are definitely heading in the right direction, though football authorities are definitely not Everton-friendly. It is to their credit that a line can be drawn, as Gary has outlined, and the areas that need improving can be clearly seen. I have just watched David Silva saying what changed the perception of Man City is when they beat Man Utd 6-1 at Old Trafford. From then on, the belief in the players and fans and people in general changed towards Man City. We haven't had a result like that away against one of the top 6. Yes, I know we beat Man Utd when Moyes was in charge but Man Utd were poor then. So our next 2 games will tell us a lot about our ability and belief, to play 2 teams away in the top 4 will be a real test. I don't think this season will be the season to start winning away at the top 4 although would be delighted not to lose both games. Talking about the next step... well, a lot may depend on if we can persuade Gomes and Zouma to sign permanent deals. I also think the more Richarlison plays up top the better he will become, whether he can fulfill that role time will tell but I am very hopeful he can. There is no doubt Silva has made great strides with this team in fact what he has done in such a short period of time is brilliant. Not only the results but the style of play, has improved and will keep on improving the more time he has with the players. I don't think we need to rush any more new additions. Let the team play together and gel properly. Maybe in the summer we can look at the right flank and perhaps the centre-forward position. But we have decent players in every position as well as decent cover. Improving from here by simply adding new players will be difficult. But if the team gels then I think we'll see a dramatic step up. I too think we already have the players and squad we need for this season . The team spirit seems far better and we are beginning to score goals every game. To make the step up we need to realise that we do have a team and a squad that is very competitive. Fully tuned up we can match or beat any of the top 6. Yes, Man City included, and definitely the RS. We played Arsenal and Man Utd away from home. We were unlucky. We can take revenge. We have good players to come in due to injuries or drops in form . This factor will come increasingly into play as the season develops and other sides suffer squad depletion. Unless say a club comes in with silly money for Tosun and or Niasse in January and we have a quality replacement lined up, I would stick with this squad for this season and see what they are made of. Also of interest is Silva's ability to keep the form consistent. It will be a challenge. The stability he now has and the superb backing he has had from Farhad and Brands will help him here. I'm confident he can keep the players focused and playing well throughout. One more thing, the breakaway goal scored by Richarlison was a super thing. This counter-attacking at breakneck speed is being drilled into the likes of Sigurdsson and is bearing fruit. I would like us to improve this further, it is the type of devastating play that gets teams up to the next level. Sorry, another thing! Headed goals from corners and set pieces are an absolute essential for any team with top 4 aspirations. Yerry Mina's introduction will give us some of that. He could force himself in with a MotM performance against Chelsea. Imagine if we could win one of these away games at Chelsea or Liverpool? Imagine the astronomical boost to fans and players it would give? I firmly believe the win at Old Trafford in 2013 gave us the belief we needed to go on and finish 5th with our record Premier League points total. It was just a shame things went pear-shaped afterwards but maybe if this current team could achieve it then perhaps the mental barrier would be knocked down once and for all. Make no mistake, Silva is a man on a mission. I fully expect him to be active in the January window. I disagree with anyone suggesting that Richarlison is not the answer up front. He believes he is a striker and will be working incredibly hard to prove that he is. When he doesn't score, some moan that it isn't his position. Do you think Spurs fans were saying that when Kane went 4 games without scoring recently? Even when he hasn't scored he's won a penalty or worked the defenders hard. Who are these strikers that we can realistically buy who can score goals like Richarlison did against Brighton? I think he is going to make the position his and will end up with 20 plus Premier League goals this season. The kid has something special about him. He's a winner, and we will be fending off huge bids for him in the summer. We don't need to worry about bringing in a new striker, we need to worry about keeping the one that we have got. This season we have had a ton of corners – a sure sign that we are going forward more. Sadly we have done nowt with them. But Yeri Mina's main attribute is surely the goal threat he poses at corners (I am not saying he can't defend). Hopefully we can exploit this, starting at Stamford Bridge. I think he can scare the hell out of teams at set pieces – also leading to teams doubling up on him and leaving space for others to take advantage. It really should bring back a goal-scoring dimension we have lacked for years. I think you can see the team spirit, so obvious under Moyes' regime, is back. The players look happy and enjoying themselves. I keep hearing how the new guys really have blended in so well with the squad. A lot of this should be credited to the manager. He fills me with optimism. I believe that his winning mentality will, in time, get us over the top 6 inferiority complex we have had for so long. Just look at how many of the current first team are new players (within a year of signing). These are the guys you can mould into a positive new philosophy. I think we have the players – now it's all about attitude, desire, fight and positivity. Whilst appreciating the obvious challenges (ie, no Champions League to offer) I'd love to see us make a real ‘statement signing' next. I think that would help with what many have (rightly) said on here: we need to break that psychological barrier. That involves others being nervous of us as well. Then someone like: Dybala, Bale, Malcolm, etc.Plus a better backup goalie than Stekelenburg if I'm being really greedy! I slightly disagree that we only need to beat the top 6 to compete. Had we beat West Ham and Huddersfield at home, we would be right up there, and neither of those teams are top 6 material. That said, I agree that we need a striker. It's not just a case of we lack one, it's more the ones we have are atrocious. I can't think of a worse set of “strikers” in the league than Tosun, Calvert-Lewin and Niasse. Im becoming more and more sure that Richarlison can be that striker we have needed. He has all the assets: pace, guile, decent strength and height, fantastic work rate and good movement. Perhaps his finishing needs fine tuning but its already pretty good. That gives us Bernard, Walcott and Lookman on the wings (plus Onyekuru). I dont expect to make many signings in January as there is not often great quality to be had then though you never know. The best move in January could be trying to negotiate a full transfer for Andre Gomes. And possibly Kurt Zouma, though well see how Mina looks first. It's a squad game. If we can attract a player who is better than what we have, we will make room by getting rid of players who are not getting a game for whatever reason. I think there are a few who aren't or shouldn't realistically be pushing for a place in a top 6 team. Arguably top 6 sides do not have the likes of Niasse, Jagielka (age), Stekelenburg, Baines (age), McCarthy (injuries) as options for the first team. Certainly, top 4 don't. How many times have we had to play squad members such as these or worse against top six in those games mentioned by OP? More than one derby for sure. Squad members need to be much better. I wouldn't be surprised if all of those have gone over the summer, assuming we retain our current two loanees. How much more time should Tosun, Dowell, Holgate, Calvert-Lewin, Kenny, and Lookman get to break into the team regularly? To the end of this season or next? How many of them can improve to top 6 level? When we have £100 - 150 million of talent on the bench, we will be improving results step by step. Of course a 'breakthrough' win or two would boost the process. Brands is already having a major influence on our rate of improvement and I still tend to think Usmanov is in the background – that is how he works. Experience & money is a good combination. Onwards and upwards. I too think Richarlison's long-term position will be as a No 9. He has it all, let's let him grow and learn the position, because he could be a Henry level striker, he's that good. But I do feel we need another attacker, Tosun and Niasse ain't good enough, leaving only Lookman and Calvert-Lewin as back up although I do expect Lookman to start pushing Bernard and Walcott for a first-team position soon. The player I'd like to see us go for is Cristian Pavon from River Plate. I'd truly recommend any football lover to watch the Libertadores Final first leg on Saturday (Boca Juniors vs River Plate). Pavon is in rich form, not prolific (yet), more a left-sided forward with pace and skill. He could well be Madrid bound or something like it, especially if he has a good impact in the final. The guy is very highly thought of, and this is the type of guy we should be going for. Richarlison, Pavon, Lookman, Bernard, Walcott, Calvert-Lewin. That'd be up there with the most exciting attacks in the Premier League, and with rich potential to get better and better. When we had Lukaku, many people were saying we were too reliant on one man, and needed more variety in our play, and more sharing of goal-scoring. Well, so far under Silva, it looks like we are finally developing those things. We're playing some great football, scoring a lot of fine goals, and the overall team spirit is looking good. We've had some stuttering, particularly at the start of the season, but that happens even when you have a 'top striker'. We seem to be getting over that stuttering, and gelling more, and now have a variety of options up front, finally supported by what's looking like a creative and quality midfield. So I'm not particularly fussed if we don't sign another striker, so long as the improvement we're now seeing continues. That's the crux of the matter, the overall team performance, rather than any one striking option. Jerome (6) I don't understand why you are saying Allardyce played Coleman in two 90-minute games. He made his comeback in the midweek game against Leicester and was then quite rightly rested for the trip to Arsenal on the Saturday evening. A week after that, he started against Palace at Goodison but was withdrawn at half-time. Mental strength and changing the mindset will play a key part in pushing this club forward. We must eradicate the flimsiness and soft-centred attitude at the top sides. Strength is depth is needed another outlay of £100+ million to strengthen the bench and provide greater competition within a 16- to 18-man squad. We need a lot better than our first eleven and that will come at considerable cost. "Cech looked as if he was on the training ground"
Errr, I think Cech got man of the match. For the first time since Martinez's first season, we actually played football at Arsenal and Man Utd and were undone by 2 shocking decisions (that would still be on the back page if they had gone against any of the Sky 6). I think the progress has been quite rapid from last season where I (for the first time in 40+ years, I couldn't be bothered). Now I'm excited again thanks to Silva and Brands. Spot on. Debunked some absolutely stupid remarks. Liam at 21. Quite agree, bang on the money. We are being taken seriously now. Interesting question that I missed last week. I think the next step is for Moshiri to continue to support Brands in the transfer market. Any time we can improve then we must, while ensuring sufficient room for younger players to develop. Dowell has wasted the first half of this season and he's not getting any better in the stands. We have a good balance at the moment so let's try keeping Gomes and Zouma and try to add a couple quality players each transfer window.